You did not wake up today to be mediocre; you woke up to run the world. 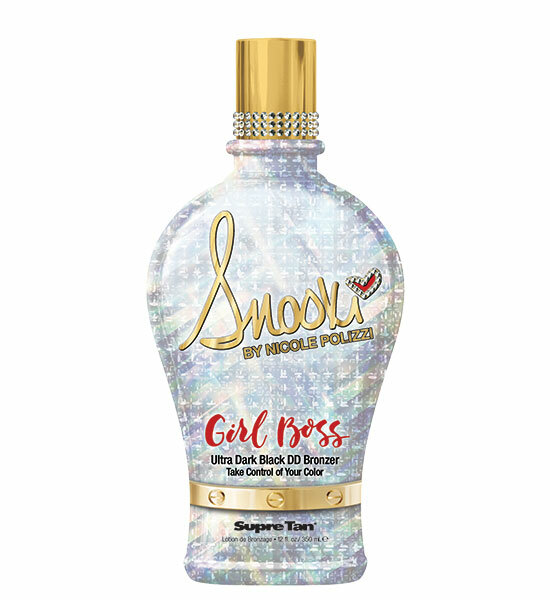 Take charge and don t apologize for it, Snooki s Girl Boss Ultra Dark Black DD Bronzer is your dynamic do-all dream formula that raises the bronze bar with instant cosmetic bronzers and delayed bronzers for fierce, beautiful continuous color. Formulated to help diminish wrinkles and fine lines while providing a flawless, matte finish that will help you go the extra mile. Get what you deserve and be awesome with Girl Boss! Tattoo ColorShield Technology combines essential Minerals, Aloe Vera and Algae to help maintain the color and vibrancy of tattoos.